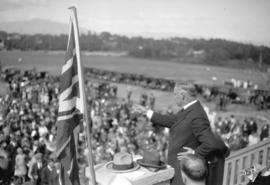 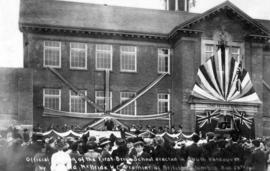 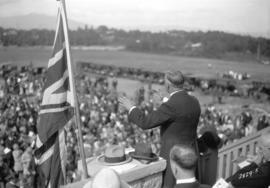 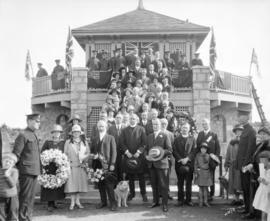 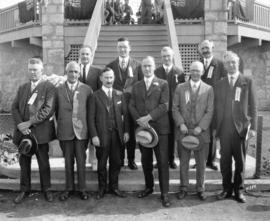 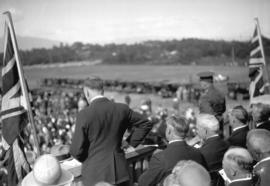 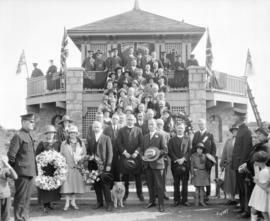 Photograph shows South Vancouver Reeve and Council in front of park building. 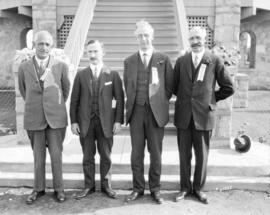 Some individuals identified on vintage print. 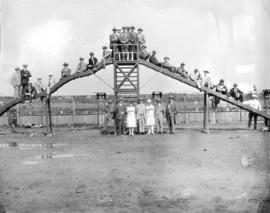 Photograph shows people gathered on and around playground equipment. 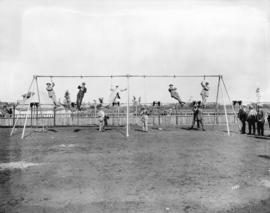 Photograph shows men climbing on playground equipment. 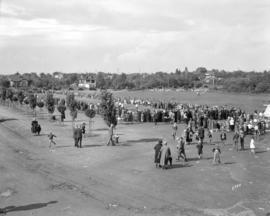 Photograph shows crowd gathered around track to watch runners race. 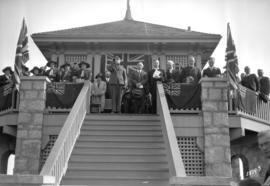 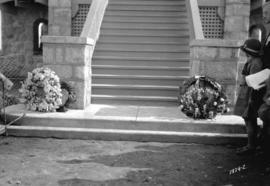 Photograph shows soldier playing the bugle on verandah of park building with people standing behind and beside him. 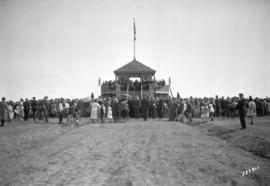 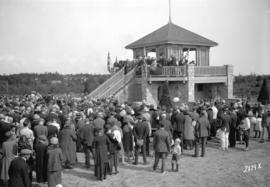 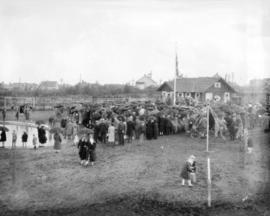 Photograph shows crowd gathered around a park building which is being used as a stage.